A 2019 Metropolitan National Council finalist, Polish tenor Piotr Buszewski made his professional US debut in 2018 in the title role of Donizetti’s Il Pigmalione with the New York City Opera. That was followed by his role debut as the Duke in Verdi’s Rigoletto at the Wolftrap Festival, and sang Berlioz’s Te deum for the Memphis Symphony. Future engagements include Tybalt in Gounod’s Romeo et Juliet for Cincinnati Opera, Nemorino in a new production of Donizetti’s L’elisir D’amore for Opera Leipzig directed by Rolando Villazon, and Leandre in Le médicine malgré lui by Charles Gounod in Boston..
Piotr is currently completing his residency at the Academy of Vocal Arts in Philadelphia where he sang outstanding performances of Edgardo in Donizetti’s Lucia di Lammermoor. This season at AVA he will sing Romeo in Romeo et Juilet, the Prince in Rusalka and Ferrando in Mozart’s Cosi fan tutte. In the summer of 2017 Piotr performed the role of Ernesto in Donizetti’s Don Pasquale at Brevard Music Center. Prior to that, he debuted the role of Nemorino with Oberlin in Italy, and Rinuccio in Puccini’s Gianni Schicchi at the Trentino Music Festival. Prior to AVA, Piotr studied at the Juilliard School of Music with Doctor Robert C. White, and the Accademia Nazionale di Santa Cecilia Opera Studio in Rome under the tutelage of Renata Scotto. Prior to that Piotr studied at the Fryderyk Chopin Music University in Warsaw. Other recent engagements include Rinuccio in, Tinca in Il Tabarro and Flaminio in L’amore dei tre re at the Academy of Vocal Arts. 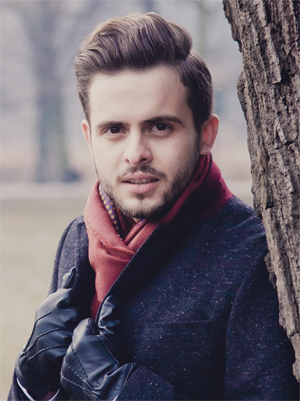 In 2016 Piotr received third prize in the Zinka Milanov International Voice Competition, as well as Special Prize at the Otto Edelmann Voice Competition. In 2015 he was awarded second prize in the Marcella Sembrich International Voice Competition and the Hal Leonard Voice Competition. Piotr has sung in master classes with Renata Scotto, Deborah Voigt, Tito Capobianco, and Christopher Macatsoris. He is a student of Bill Schuman.